Kelly Oubre turned in one of his best performances as a pro just a week ago in the Wizards season opener against the 76ers. And if you read any sports website the following day, you would have been bombarded with articles saying Oubre had ‘arrived’ and should be a legitimate candidate for Most Improved Player. Just two days after that impressive performance, Oubre had a pedestrian output against the Pistons where he scored two points and connected on just one of his five shot attempts. Then, he followed that up with another 14 point performance on the road in Denver, only to follow that up with an inefficient 9 points on 10 shots against the Lakers on Wednesday. So has Kelly Oubre arrived in his third NBA season or is he still underperforming? Oubre hasn’t ‘arrived’ nor is he ‘underperforming’. 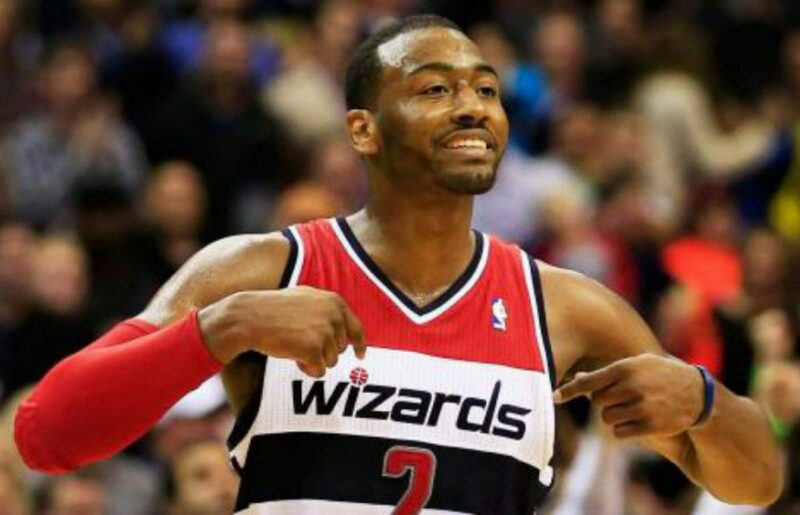 He’s still in the midst of his development and Wizards’ fans as well as the franchise needs to be patient as there will be many more bumps as he continues to develop. His NBA maturation is more likely to mimic Maurice Harkless’ slow, bumpy ride than say, Kawhi Leonard or Paul George’s fast-track to stardom. Harkless, like Oubre, was taken with the 15th overall pick after an uneven year in college. He faced a steep learning curve and bumpy transition into the NBA with the Magic. Like many young players, his’ statistics didn’t change much from his rookie to sophomore year. During his third season, Harkless was benched in favor of Victor Oladipo and Aaron Afflalo only to be traded to the Blazers the following summer. In his first season in Portland, Harkless averaged an uninspiring 6.4 points and 3.6 rebounds in just under 20 minutes of play; numbers that were nearly identical to Oubre’s second season in Washington. Rather than pulling the plug on Harkless after minimal improvement in his first season with the Blazers, he was inserted into the starting lineup for the start of his second year with the team. And that’s when he came into his own putting up career-bests in points, rebounds, assists, and shooting, all while earning a little extra cash in the process. The patience shown by Portland paid off as Harkless finally rounded out into a solid NBA player in his fifth season and second team. Unlike Harkless, Oubre will not have the luxury of getting starters minutes once Markieff Morris comes back from his injury so he’ll have to make the most of his time coming off the bench. However, he will get plenty of opportunities to show his progression as he’s the first man off the bench and will likely play key minutes late in games when the Wizards play small. We saw this past Monday evening against the Nuggets as the Wizards were forced to go small due to the injuries to Morris and Jason Smith. Playing alongside Wall got Oubre open shots from three-point range; looks that he likely won’t get when playing with the reserves. He also made a timely drive to the hole in transition during a stretch where the Wizards were struggling to score and was active on the defensive end while only committing two fouls. But most importantly, he looked like a player who is taking the next natural step in his basketball progression. He’s not going to take big leaps forward in his progression like Giannis Antetokounmpo have so there’s no need for fans to overreact after every game. His year over year improvements have shown that with time, he’s taking strides in the right direction to consistently be a solid rotation player for Washington. Until then, the Wizards must remain patient.